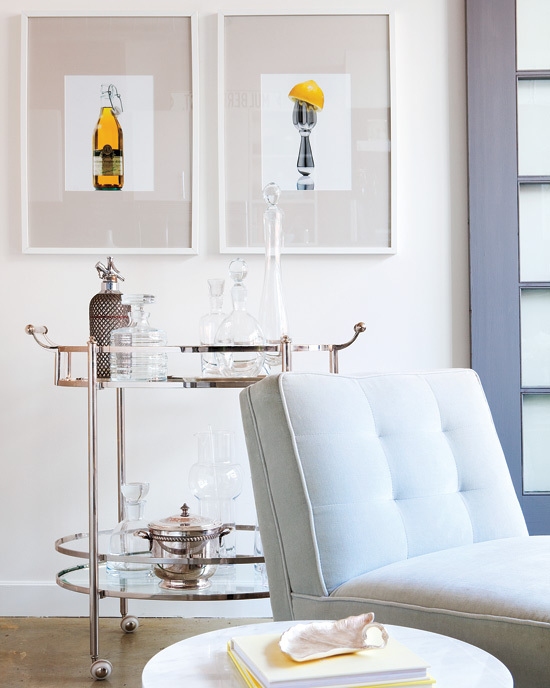 ... in Toronto caught my attention because of it's bright interior, decorations and photography. Somehow the excitement of the loft style always appeals to me. 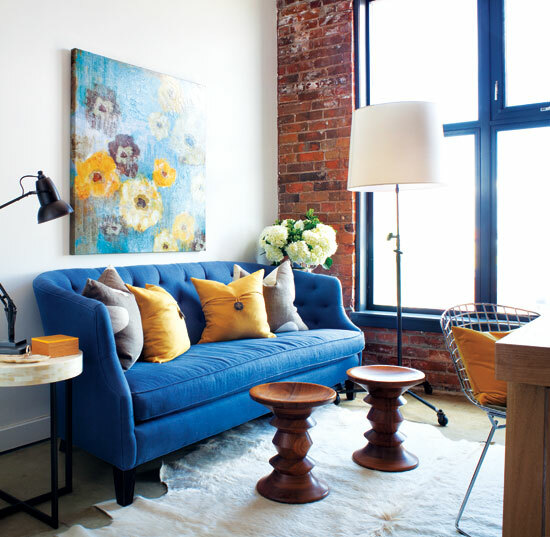 This one was beautifully decorated with warm yellows and fresh blue's by Feasby & Bleeks. 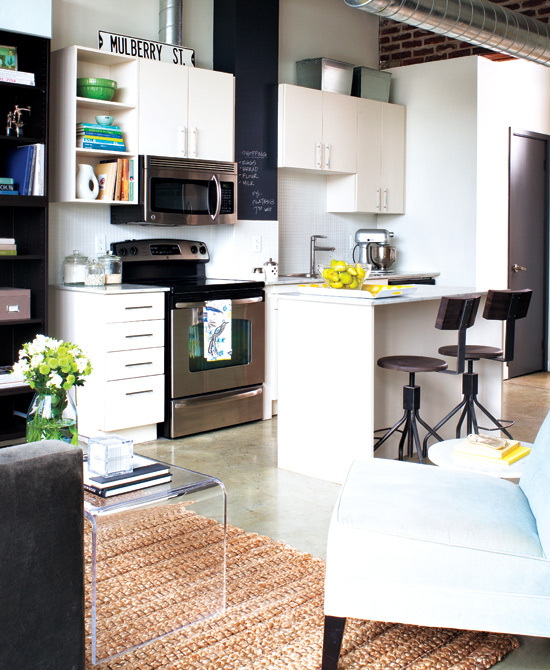 I love how the industrial, polished raw and eclectic influences are given a little more of a chic look. How do you feel about it? Oh I just love how bright it is! Even with the exposed brick. That's incredible! Lovely Loft!! I am totally digging the chalkboard wall they have in the kitchen and photos above the bed. Inspires me to take a bunch of black and whites of Bella. Great post! i'm loving these pops of yellow! especially against the whitness of the latter rooms. it makes them so bright and cheery! I love the desk/chair combo in the first shot. bright and beautiful ... and why is that dog not mine?!! 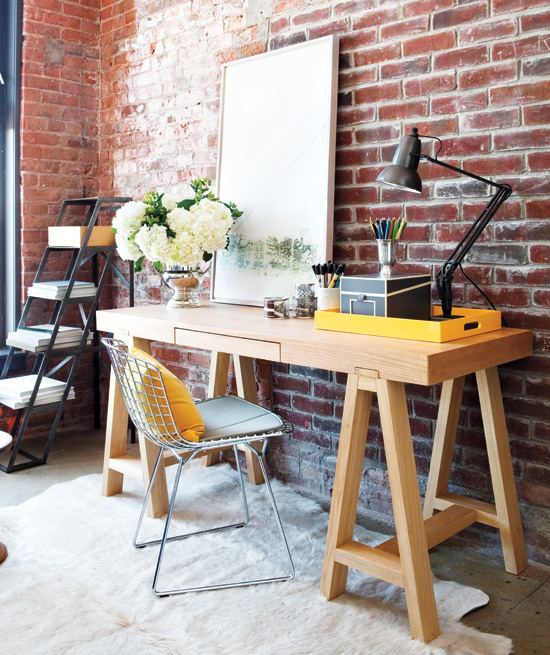 I love the brick walls, an element I always like about interior design, just as I love herringbone floors. It gives an intimacy feeling. such a friendly place! those brick walls are just stunning! i especially love the first image.